As we mentioned in my last post, we love apples and my kids are currently obsessed with apple sauce. 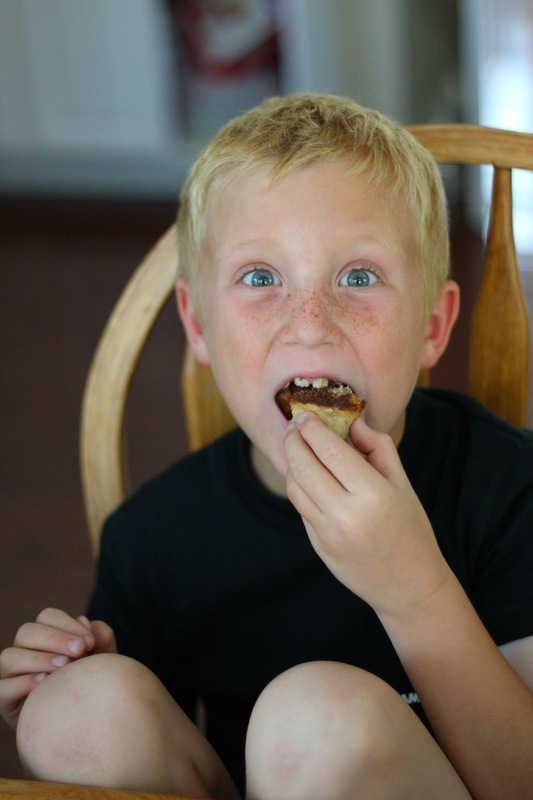 I love baking with my kids so we decided to create a delicious after school treat with apples to go along with all of the apple crafts and activities we've been doing lately! This is a treat, this is not a healthy snack... just warning you now... and it smells delicious!!! After seeing far too many yummy apple recipes on pinterest we decided to make some cinnamon apple pie muffins. I can't handle recipes that require very many involved steps or mixing things seperately so I typically just use my Kitchen Aid mixer or Cuisinart food processor and put everything all together and see what happens! 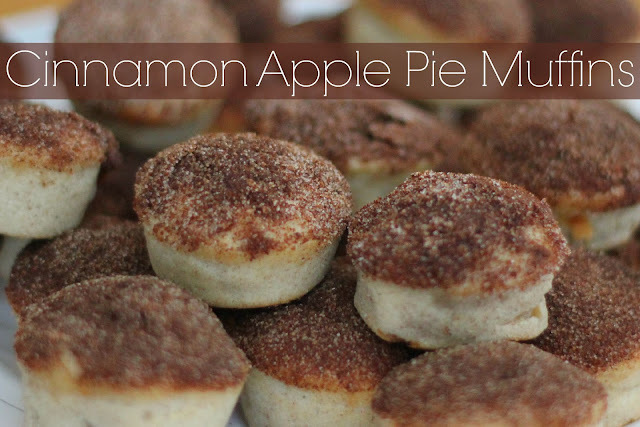 Here are the ingredients and simple directions for our cinnamon apple pie muffins. 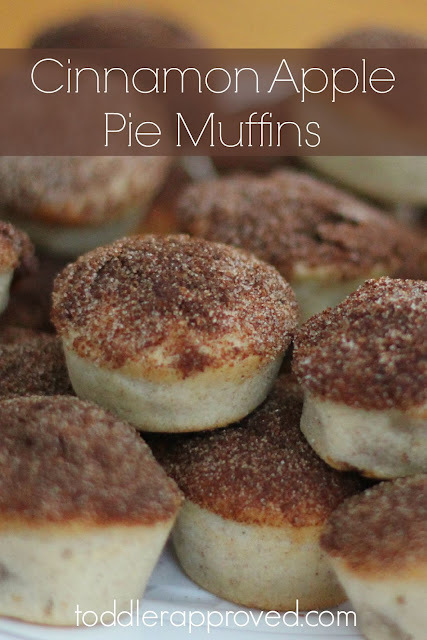 Line your muffin tins with muffin tin liners or spray them. We used a silicon mini muffin tin so we didn't do any spraying. 1. Cream together softened butter, sugar, eggs, and vanilla. 4. Add 1 more cup of flour followed by 1/4 cup milk and cinnamon. 6. Fold in the apple pie filling and mix gently. 7. Pour the mixture into muffin tins filling them up about 2/3rds full. 8. Bake until a toothpick comes out clean. About 25-30 minutes. *We made mini muffins so ours took closer to 15 minutes. While the muffins are baking you can prep your topping. 1. Melt 1/2 cup of butter and set it aside. 2. 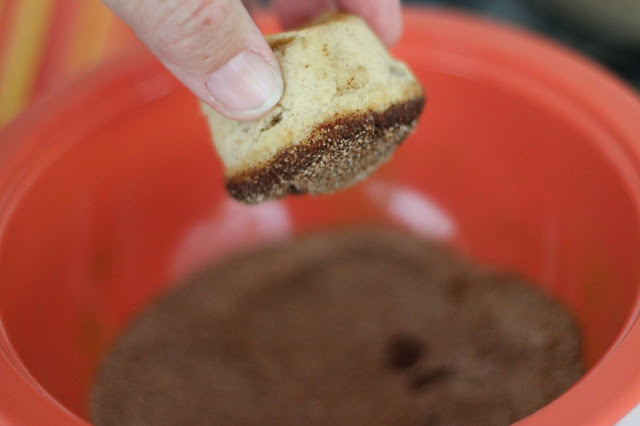 Mix 1/4 cup cinnamon and a 1/4 cup granulated sugar and set it aside. 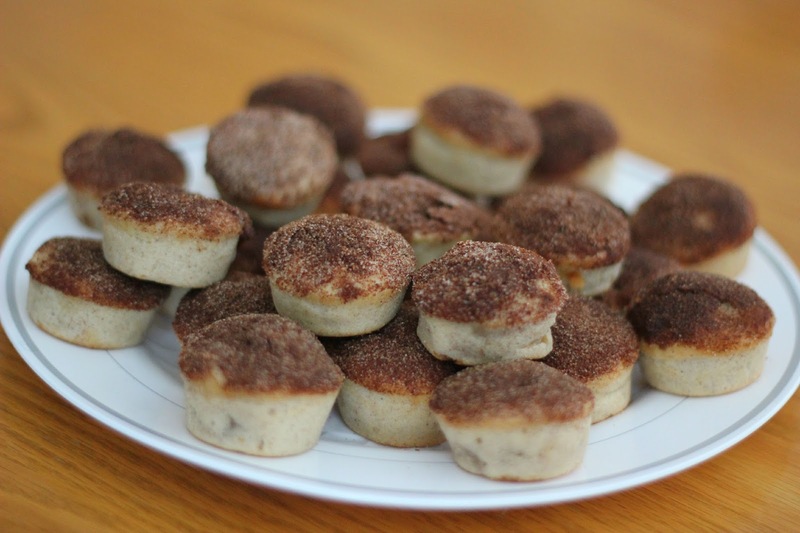 Once your muffins are able to be handled, dip the tops of them in the melted butter and then dip them in the cinnamon and sugar mixture to create a yummy sugary top to your muffins! If you want to change the topping up a bit you could also try cream cheese frosting instead of the cinnamon and sugar combo! If you like less sugar, you can totally skip this part! 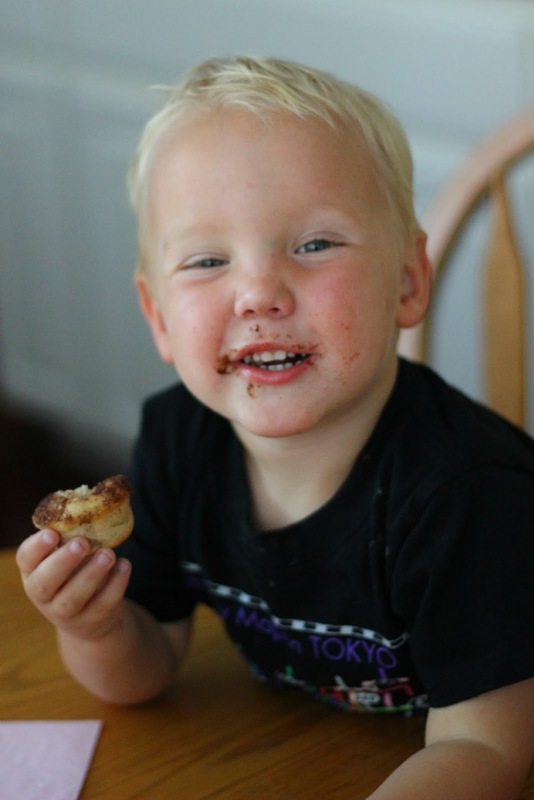 The muffins still taste very yummy without the topping. I had three VERY happy kids on my hands once these were all done! They loved helping mix the batter and dip the muffins... but their favorite part was eating them! For a healthier alternative, just use diced apples instead of pie filling and reduce the amount of sugar in the recipe! You can also use applesauce in place of the butter. Do you have a favorite apple recipe?? Tell me about it! I want some more apple recipes to try out! You can find all of our favorite Fall activity ideas pinned on our Fall Crafts & Activities pinterest board.